ThereÍs no cure-all quite like a cupcake. And thanks to the decadent Cupcake Bandages, this statement is now both literal and figurative. ThatÍs right, tap into the healing power of cupcakes with these nifty bandages that are ideal for small cuts and scrapes. Each 3 3/4" tall metal pocket tin contains twelve 1 3/4" x 1" adhesive bandages with sterile gauze and a free prize! 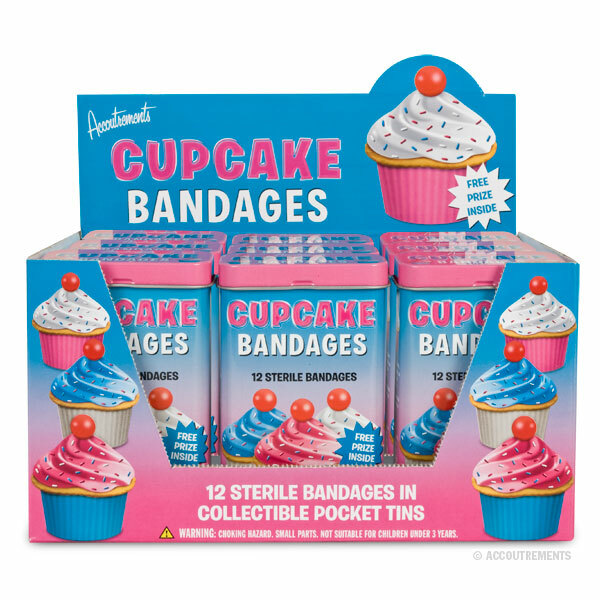 ThereÍs never been a cuter way to cover a wound than Cupcake Bandages! 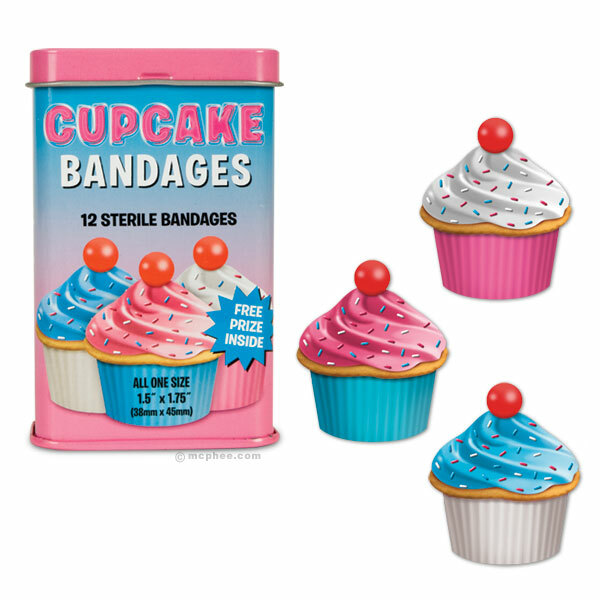 Feature: - (12) Cupcake-shaped Bandages per tin, plus a free toy!